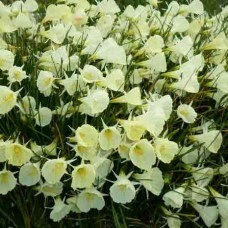 These delightful small varieties hold a special fascination, with their bright miniature flowers dancing on short 10-30cm stems. 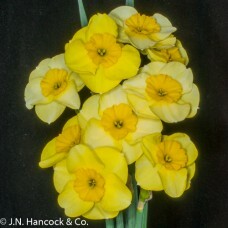 Perfect for growing in the rockery or for potting. 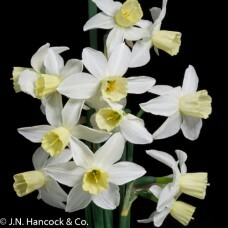 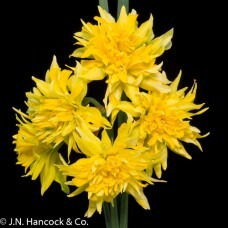 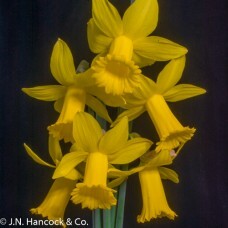 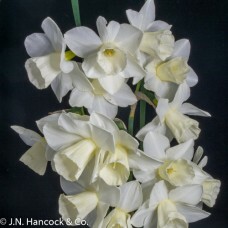 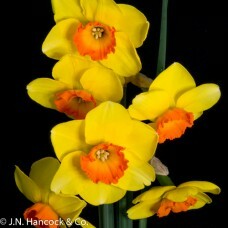 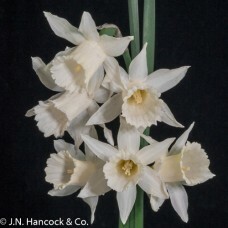 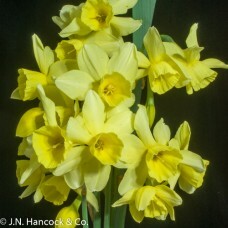 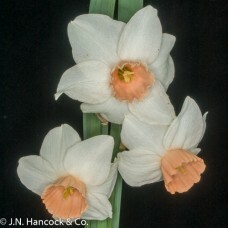 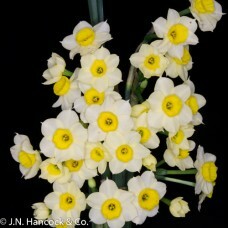 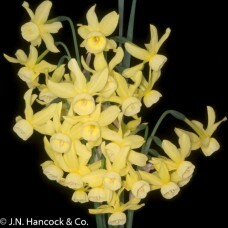 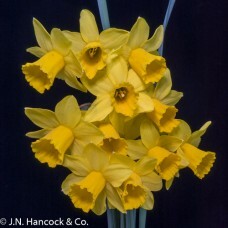 A large greenish-white hoop-petticoat daffodil with mouth slightly wavy and rim entire. 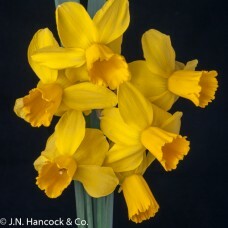 Bred in Aust..